them. Building upon his relationship with these people, he portrayed them during their daily activities in their natural environment, capturing the essence of life in Ittoqqortoormiit. 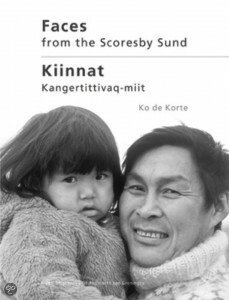 Faces from the Scoresby Sund shows not only the strength and perseverance of these people, but also the joys and hardships of living in one of the most extreme outposts of the Arctic. These historically interesting, remarkable and beautiful photos have been transformed into an Exhibition which travels around the world. 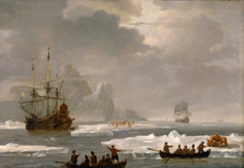 Introduction panels in English and Greenlandic. Panel with geographical locations. The most important portraits with background information are contained in a book . Two types: ‘Åge’ and ‘Kristian’ per 100 – € 0,50 each. In the winter of 2010- 2011 Groningen (city in the North of The Netherlands) was a polar city. During a lively festival you could visit several exhibitions, attend public lectures, meet polar scientists, experience the polar night, win a trip to Spitsbergen and see lots of polar movies! The festival was organized to bring the Polar Regions, and all it’s aspects, closer to the public. 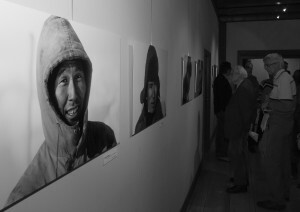 We also celebrated the 40th anniversary of the Arctic Centre at the University of Groningen. Together with colleague polar scientists and organizations such as WWF, Blikveld and KNNV publisher we organized the ‘Poolnacht van Groningen’ [Polar Night of Groningen] from November 15th 2010 until January 15th 2011.